Priya Anand’s longtime desire to work in a period film has been fulfilled via this week’s highly anticipated Malayalam release Kayamkulam Kochunni, which stars Nivin Pauly as the famed highwayman Kochunni, which will bring on screen the life of Kerala’s most wanted thief, who was active in central Travancore during the 19th century. The film also stars superstar Mohanlal in a cameo. In this exclusive chat with Firstpost, Priya talks about the experience of being part of Malayalam filmdom’s most expensive film and why she believes the industry is far more progressive. Priya did not have to prepare to essay her character. 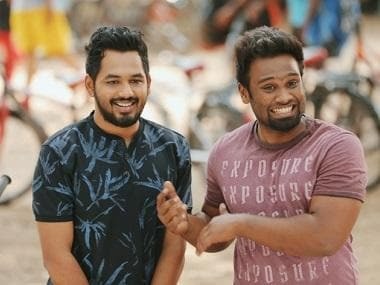 “The best thing about working in a Malayalam film is that the characters are so real, one need not really have to try and get into the world. They’re so real. You can immediately connect with them. Although the story is set in 19th century, everything my character goes through happens even today. It was easier for me to connect. The challenging part was picking up the language, the dialect to be precise, because it’s a period film,” she said, adding that it is not that difficult when you work with a director like Roshan, who really knows what he wants.